When lenders like banks and credit unions are assessing your ability to qualify for a mortgage, they will look at two factors. First, they want to make sure you have the ability to make the mortgage payments. Second, they want to measure your willingness to make the mortgage payments. These two factors are categorized and are simply known as the Five C’s of Credit. Are you able to repay the loan? This is the most critical of the Five C’s. Lenders assess your capacity by reviewing your debt and payment history, something usually found on your credit report. This is the amount of money that you have to invest in the property yourself. A lender likes to share some of the financial risk with the borrower. Under some circumstances, a lender will grant a loan with little or no capital if there is exceptional strength in the other four C’s. This is a grey area. It’s an impression of how trustworthy you are to repay the mortgage. Lenders look at your length of employment to establish how secure you are, and they will look at your ability to save and to manage your credit as keys to your character. This is a guarantee in the form of security for the loan. In the case of a mortgage, it’s the property itself. 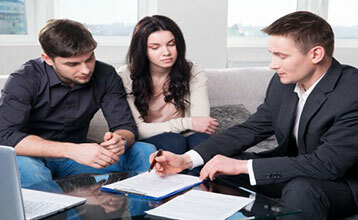 Collateral can also come from a third party who will guarantee the loan. This is your credit history. This is essentially the only way a lender can predict your willingness to make future payments.